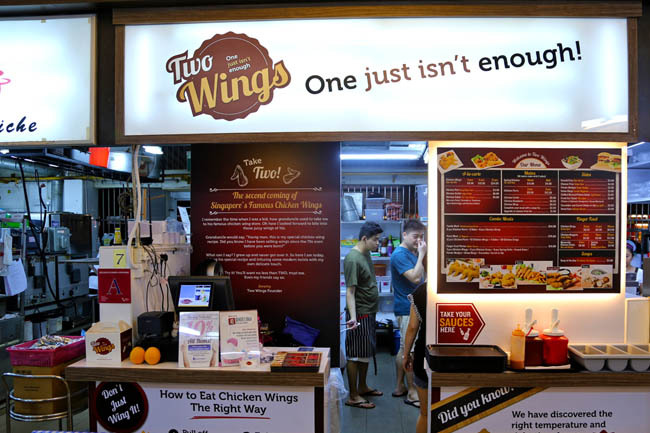 [Updated Feb 2016] Two Wings has ended its operation at Bukit Merah’s Salute Coffeeshop, and will focus strength at its outlet at Essen At The Pinnacle. However, the chicken wing stall has been plagued by inconsistency and complaints about bad service at its original site. I know I said it was “possibly the best chicken wings in Singapore”, but I too had occasions when the wings turned out overcooked, greasy or just not up to its usual standard. have received and experienced bad service standards and seating policy imposed by the coffeeshop’s management. I humbly seek your understanding that some things were beyond our control to provide a better dinning experience. It appears that many tenants have left this ‘hipster koptiiam’ due to “management issues”. Lesson learnt: What goes up, may come down. Arrogance may not bring you anywhere, especially in the food business. [Original Entry] Possibly the best chicken wings in Singapore. Let’s not compare these babies to the Korean ones, spicy buffalo wings or even IKEA, because they are of different category. Talk about chicken wings and I am all excited again, having tried some of the known famous ones from Arnold’s, ’Prime Minister Lee’s’ Yan at Redhill, Eng Kee at Commonwealth, Toa Payoh Lor 5’s, to the usual fast-food selection Texas, Popeyes, and KFC. Some of which the standards have went from “delicious” to “not going to have them ever again”. Two Wings is the hottest talk-of-the-town wings at the moment, possibly. My advice: Go during the weekdays, off meal times, or late at night for supper. Their popularity is a combination of social media boosts, the coffeeshop they are in had a major revamp (check out Stew Kuche, Mian, Immanuel French Kitchen), and real good quality. 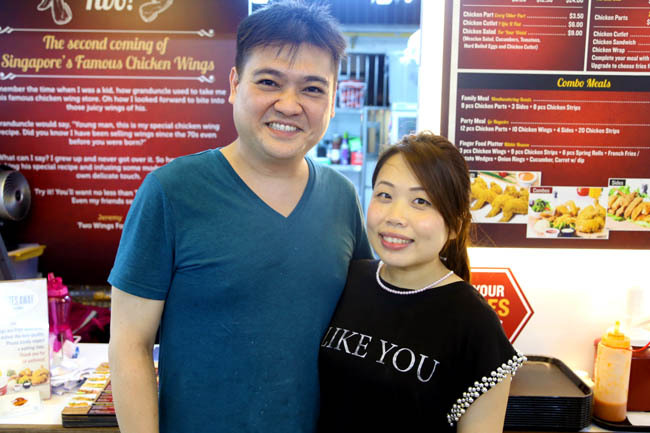 Owner Jeremy persuaded his granduncle for his well-kept secret recipe of 40 years, trained for six months under him, and gave it slight twists – such as using bigger wings and a spicier homemade chicken rice type chilli sauce. This is what I think. Many people have “secret recipes” out there, but few can do a good job because they used lower quality ingredients, skipped steps, or simply have no heart in doing them well. 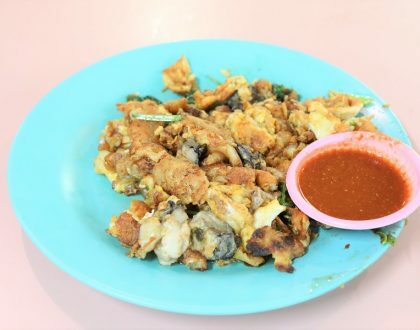 To produce good hawker food, you need that heart. Jeremy claims that every single wing is massaged early in the morning to “drain the blood off”, while “others simply soak them in water”. He uses larger wings from Brazil, a higher cost vegetable oil, and a particular brand of sesame oil. The moment of truth. The goodies ($8.50 for 4 pieces, $12.50 for 6, $24 for 12) arrived on a laminated wooden board. You cannot help but notice the chicken are in a shade of appetizing golden hue (suggests clean oil, yet not over-marinated with sauces), resting neatly on an almost un-oily surface. 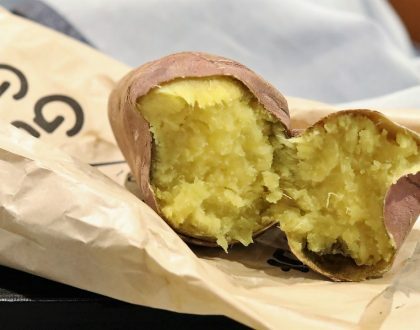 The first bite, there was a firm delightful crunch, followed by succulently moist and savoury meat, yet all without the usual greasiness you may have expected. Have it plain first, then dip into the specially made chilli sauce, which may bring you a brief whiff of nostalgia. 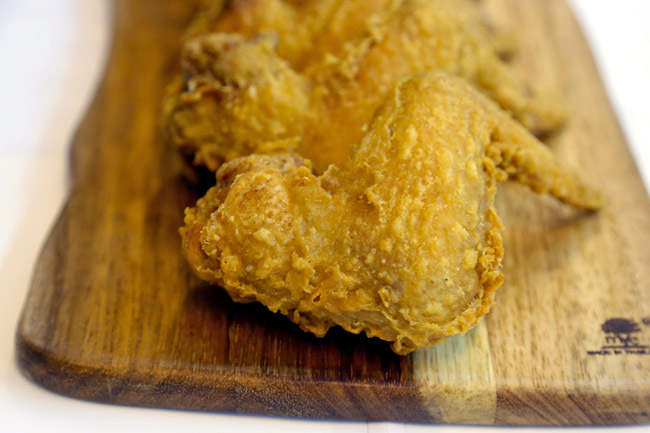 Some customers say the wings, when taken away, can still remain crisp for up to 3-4 hours. Unfortunately, Singapore’s merciless humid weather won’t do justice to them. My advice is: Eat them fresh and hot. In fact, don’t waste time posing with wings for instagram-purposes. Just eat lah. Two Wings’ slogan is “One just isn’t enough!” It’s true. I wanted to stop at two. I went on to three, and that’s after dinner. Not yet. Are they famous for wings? Daniel's Food Diary Not sure what they are 'really famous' for, but they serve German beers on tap, not the usual brands, such as Titje and the likes. Their chicken wings were crispy, hot, and their sambal was very more-ish. We had to order an extra portion because our group just worked up the appetite 😀 You could check it out and try it for yourself? 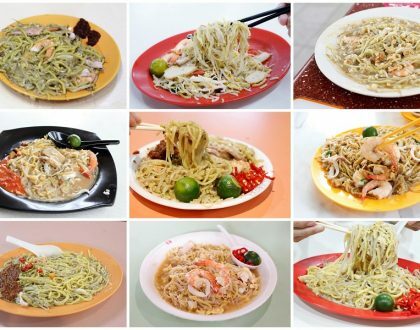 It's at Kandahar St.
http://danielfooddiary.com/2013/09/16/4fingers/ May upset some fans, but 4fingers has taken a decline since their start. 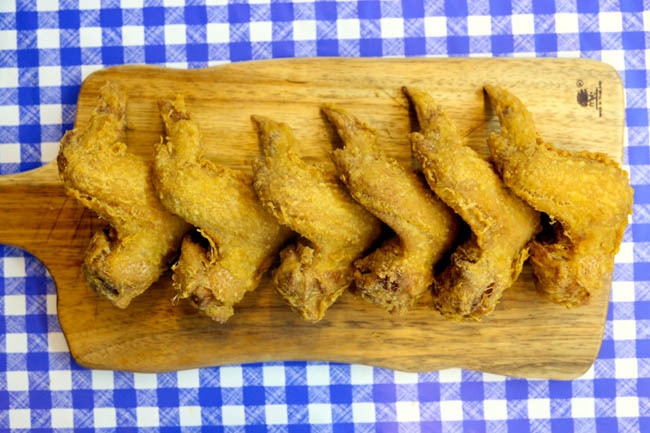 Try the chicken wings at Alps Cafe. 38 Princep St. its nice! There is a malay nasi lemak stall at Blk 511 Bedok North Hawker Centre (where the famous Seng Kee Herbal Chicken Soup stall is located). 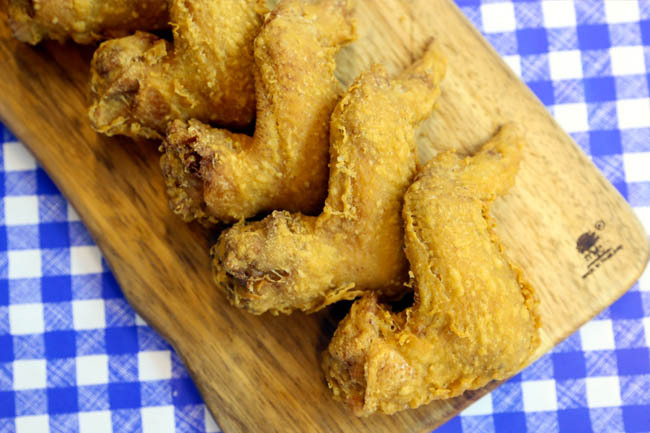 Their chicken wings are heavenly and will rekindle memories of your primary school tuckshop’s chicken wings. Their nasi lemak is also not bad but the highlight is their wings. SHOCKING Attitude of kitchen staff!!! I ordered a cutlet but my food did not come after waiting for more than 25m, so I wanted to cancel my order & request for a refund. While the counter staff was trying to assured me that the kitchen is preparing my order, one of the kitchen staff challenge me in a provocative manner that the food is done & whether I still want the food. Given such lousy attitude, I insisted on my refund. What the kitchen staff did next to bin the plate of food in front of me was even more outrageous.